Nancy Cantor is Chancellor of Rutgers University–Newark, a diverse, urban, public research university. A distinguished leader in higher education, Cantor is recognized nationally and internationally as an advocate for leveraging diversity in all its dimensions, re-emphasizing the public mission of colleges and universities as engines of discovery, innovation, and social mobility, and achieving the fulsome potential of universities as anchor institutions that collaborate with partners from sectors to help their communities thrive. At Rutgers University–Newark, she leads and promulgates efforts to leverage the university’s many strengths, particularly its exceptional diversity, tradition of high-impact research, and role as an anchor institution in Newark, New Jersey, through strategic investments in five broad areas in which the university’s strengths align with those of cross-sector partners: educational pathways from pre-K through college; equitable growth through urban entrepreneurship and economic development; cultivating creative expression through the arts and culture; strong, healthy and safe neighborhoods; and science in the urban environment. 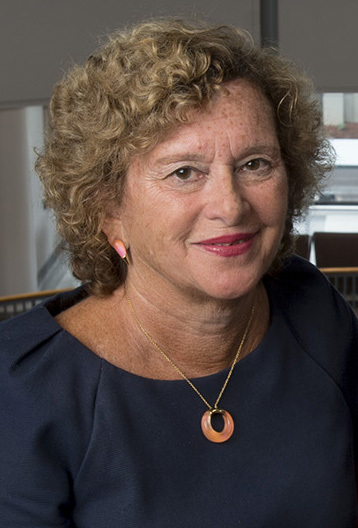 Prior to her current position, Cantor was Chancellor and President of Syracuse University, where the breadth, depth, and success of her efforts to foster mutually beneficial collective impact initiatives between the university and community earned her one of higher education’s highest honors, the Carnegie Corporation Academic Leadership Award, in 2008. Previously, Cantor had served as chancellor of the University of Illinois at Urbana-Champaign; provost and executive vice president for academic affairs at the University of Michigan, after having served as dean of Michigan’s Horace H. Rackham School of Graduate Studies and vice provost for academic affairs; professor of psychology and senior research scientist at the Institute for Social Research at Michigan; and chair of the department of psychology at Princeton University. While at Michigan, she was closely involved in the university's defense of affirmative action in the cases Grutter and Gratz, decided by the Supreme Court in 2003. A leading voice on inclusion, diversity, and full participation, she speaks and writes frequently on these issues. She is co-editor with Earl Lewis of the Our Compelling Interests book series published by the Princeton University Press. She has served as Principal Investigator on a National Science Foundation ADVANCE Institutional Transformation grant, and on national bodies including the National Science Foundation Committee on Equal Opportunity in Science and Engineering, The Century Foundation Task Force on Preventing Community Colleges from Becoming Separate and Unequal, the National Research Council Advisory Committee for the Office of Scientific and Engineering Personnel and as co-chair of its Committee on Women in Science and Engineering, the Congressional Commission on Military Training and Gender Related Issues, the advisory group of the American Academy of Arts and Sciences Lincoln Project on Excellence and Access in Public Higher Education, the Aspen Institute Task Force on College Opportunity for High Achievers, and the Ford Foundation’s Steering Committee of the project Building Knowledge for Social Justice. Chancellor Cantor lectures and writes extensively on the role of universities as anchor institutions in their communities, along with other crucial issues in higher education such as rewarding public scholarship, sustainability, liberal education and the creative campus, the status of women in the academy, and racial justice and diversity. Her thought is informed by broad leadership experience at all levels within public and private universities, as well as national and international organizations, positioning her as a sought after advisor and speaker on urban economic and community development. An author of numerous books, chapters, and scientific journal articles, Chancellor Cantor holds an A.B. from Sarah Lawrence College and a Ph.D. in Psychology from Stanford University. Her academic and leadership work has been supported by the National Science Foundation, Andrew W. Mellon Foundation, Ewing Marion Kaufmann Foundation, and Carnegie Corporation of New York, among many others. Cantor is a fellow of the American Academy of Arts and Sciences and a member of the National Academy of Medicine of the National Academies. Among the boards and committees of which Cantor currently is a member are the American Institutes for Research, the American Assembly, the Ford Foundation’s International Fellows Program Advisory Council, Presidents Subgroup of the Anchor Institutions Task Force, the Newark Trust for Education, the New Jersey Performing Arts Center, co-chair of the steering committee of the Presidents Alliance on Higher Education and Immigration, and chair of the Newark Anchor Collaborative. She has been honored with numerous awards, including the Robert Zemsky Medal for Innovation in Higher Education, the Distinguished Scientific Award for an Early Career Contribution to Psychology from the American Psychological Association, the Woman of Achievement Award from the Anti-Defamation League, the Making a Difference for Women Award from the National Council for Research on Women, the Reginald Wilson Diversity Leadership Award from the American Council on Education, and the Frank W. Hale, Jr. Diversity Leadership Award from the National Association of Diversity Officers in Higher Education.